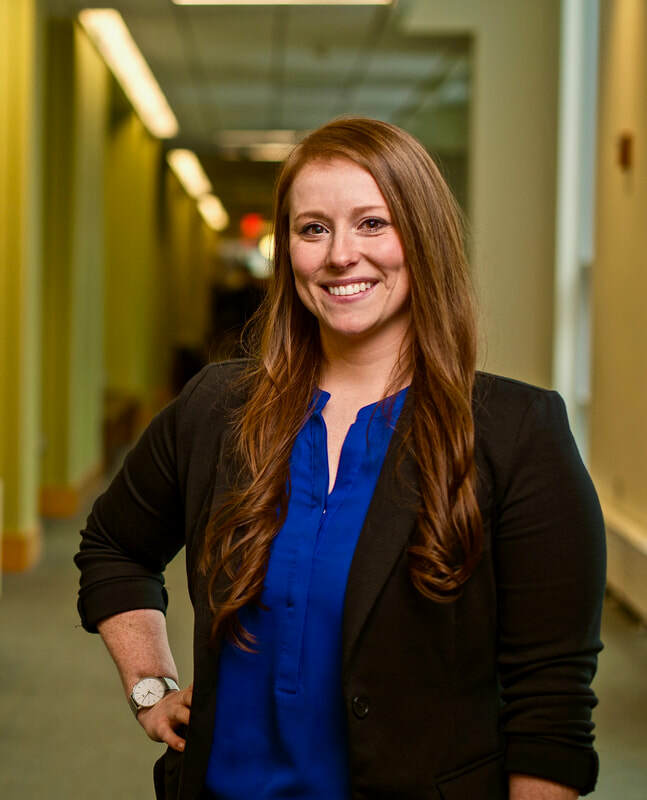 Jennifer Griffith, PhD, is an Assistant Professor of Organizational Behavior at the University of New Hampshire's Peter T. Paul College of Business and Economics where she teaches undergraduate- and MBA-level courses in organizational behavior and human resource management. ​She earned her PhD in Industrial-Organizational Psychology with minor in Quantitative Psychology from the University of Oklahoma in 2013, and through a research assistantship at OU's Center for Applied Social Research, developed a multi-faceted research portfolio. Her interdisciplinary approach to research focuses on the role of social cognition (e.g., attributions, perceptions, and identity) on dynamic and complex problem solving in the workplace, frequently in leadership or team contexts. Her research lab, Modern Work Lab, recruits and mentors undergraduate students at UNH who are interested in translating this research stream into workplace solutions, including recommendations for selection and assessment systems, leadership development, and workplace training programs. As an extension of this research, she serves as a Faculty Fellow at UNH's Prevention Innovations Research Center where she acts as a research partner & consultant on issues related to social cognition & workplace factors (e.g., culture) relevant for the prediction and prevention of sexual harassment & assault in the workplace. Her research has been published in the Leadership Quarterly, Journal of Occupational and Organizational Psychology, Human Resource Management Review, Journal of Computer-Mediated Communication, and Computers in Human Behavior, among others. Outside of her current academic role, she has served in numerous positions guiding, conducting, and implementing research-driven interventions, including as a project manager on grants and contracts funded through the National Science Foundation and a US defense contractor; as a research consultant for two state-level governmental agencies; and as an affiliate research partner on organizational and leadership development projects in the energy and technology sectors. Now taking applications for Fall 2019 Research Assistants! Amanda is currently a senior studying business analytics and management at the University of New Hampshire. She also is an intern for a consulting firm in Dover, NH. Andrea is a senior at UNH studying business administration with a concentration in management and minors in hospitality management and philosophy. She is a Dean's Ambassador for Dean Deborah Merrill-Sands and two-time peer advisor for first-year students at Paul College. Additionally, Andrea has completed two internships at startups in her time as a Wildcat and currently works as a part-time Marketing Specialist at Wagz, Inc.
Lauren is a senior at UNH in Paul College, majoring in finance and management. Over the summer, she worked as a Retail Intern at Cape Cod Five Cents Savings Bank. She is also the treasurer for Oxfam America at UNH. After college, she hopes to achieve her MBA in becoming a Certified Financial Planner. Nicole is a senior majoring in business management and minoring in psychology. She is a member of UNH’s division 1 gymnastics team where she competes on vault and floor. The past two summers she has interned at Liberty Mutual in various human resource departments which provided amazing real world experience.